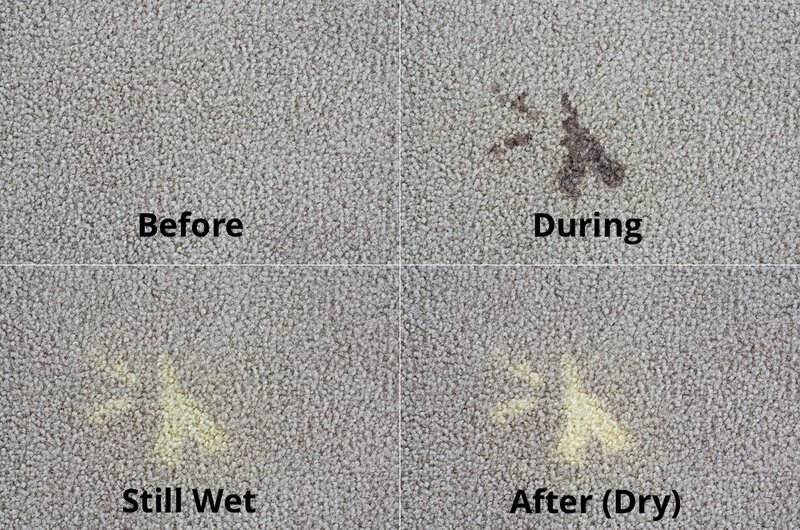 How to Use Bleach on Carpet | Magic Carpet Inc. When it comes to cleaning carpet with bleach, homeowners should understand that bleach should only be used as a last resort. Even then, bleach should only be used under very specific circumstances. 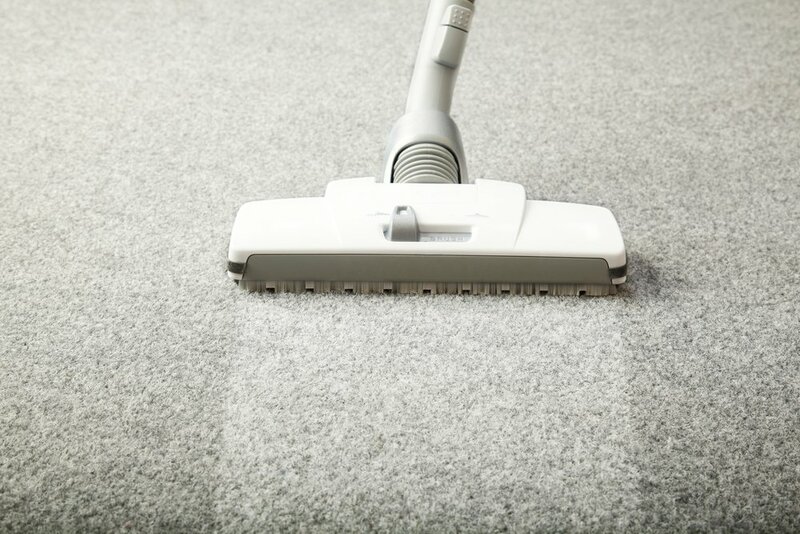 If you find that the only solution to clean the carpet is with bleach, you should make certain to vacuum the carpet well and remove any solid substances. Anyone using bleach to clean the carpet should wear rubber gloves and a mask as the chemicals in bleach can be harmful to the skin or the respiratory system. Never use bleach on a wool carpet. Because bleach will stain a carpet, it should only be used on white or near-white carpets. Bleach will destroy the color on any carpet that is rich in color, and typically would only need to be used on white or near-white carpet that has been stained with a dark, hard to remove color. Do not apply bleach to the carpet without first mixing it with water. The proper mixture should be one cup of bleach with one gallon of water, and then the solution should be sprayed lightly onto the carpet area that needs to be cleaned. On white carpets, the bleach can be sprayed only in the area that needs to be cleaned, but on any carpet that is not completely white, you may find the entire carpet needs to be sprayed lightly to keep uniformity in the carpet. Once the area has been sprayed with the bleach and water solution, allow it to sit for 30 minutes to an hour. At that point, flush the carpet with water and use a carpet shampoo and brush. Finally, rinse the carpet one more time and allow it to dry. It’s not a bad idea, either, to use a carpet cleaner vacuum to speed up the process and ensure that you’ve removed all of the bleach solution.